What are Democrats Doing for Disillusioned Trump Voters in Mobile Home Parks?? There’s a groundswell of new volunteers at the Democratic Party. Candidates are talking about healthcare, gay rights, and Planned Parenthood. This plays great with progressive voters. But we are all talking to ourselves inside a bubble. What are we doing for all the white and Latino working class people who voted for Trump? Are we going to totally blow it in 2018 because we ignored the victims of bad housing because we didn’t knock on doors in trailer parks? These are the people who elected Trump, and they are losing confidence in him. 44,000 people live in mobile home parks in Tucson. They are Trump voters if they voted. There are 430 mobile home parks where tenants are living in a housing nightmare, being abused and taken advantage of by park landlords. They live at the whim of the landlord. 10% of housing stock in Tucson is mobile home parks. It is Dickensian and it’s right here in town. In my Precinct, #238, I knocked on doors and made phone calls to people who live in beautiful condos and grand houses sitting on enormous lots. As Tamar Rala Kreiswirth pointed out, 25% of these Democrats in Tucson didn’t vote in 2016. You know that lily-white Republicans would never leave their country clubs to dirty their hands by going into a trailer park. Are we going to let it happen again? Are we afraid to see poverty in person? Do we lack the guts to meet housing victims face-to-face? Are we too prissy and effete to actually go to the homes of people who need our help? Or are we Democrats people with cojones, guts and heart? 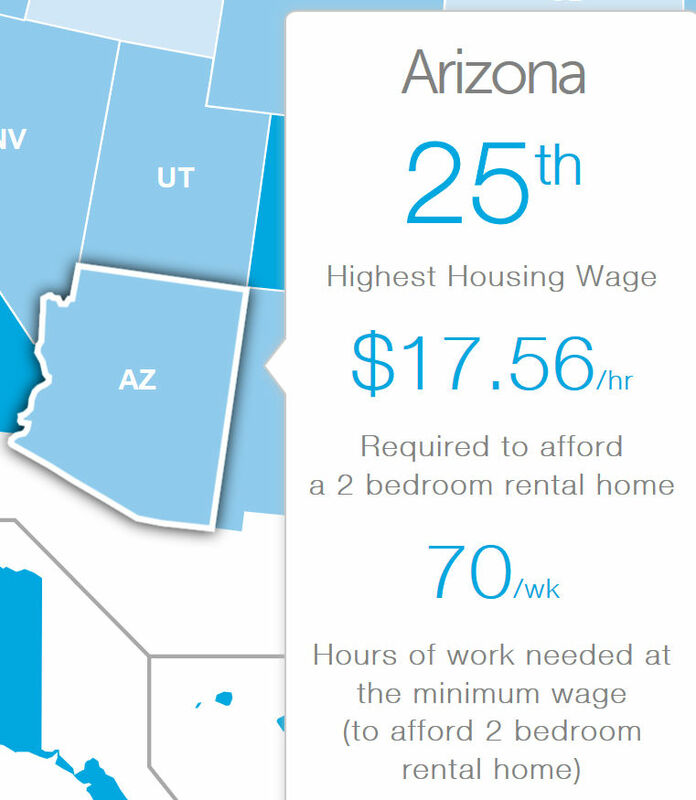 The National Low Income Housing Coalition shows that a typical Arizona renter needs to work 70 hours a week just to pay rent. A person working in zip code 85705 makes $13.27 per hour or $520 per month. The Fair Market Rent for a two-bedroom home is $690 per month. So put on your camo baseball cap, change out of your sandals and get into some shoes from Walmart. Put on a shirt from Bass Pro Shops. Leave your jewelry behind and stop reading The New Yorker and read Hillbilly Elegy. We may be able to win seats in the 2018 mid-term election, but not if we sit in our comfortable houses and ignore voters who are being viciously mistreated. Get out there and be real Democrats, dammit. If you want to do something for mobile home or trailer dwellers and the disability community, volunteer to build wheelchair ramps. Mobile homes or trailers stand 24 to 30 inches above ground so the elderly and people who become slowly disabled can get trapped in their homes. For several years, I worked with a group of friends and we built wheelchair ramps on Saturday mornings. Eventually it faded away because we ran out of requests. One woman, who weighed over 400 pounds had not been out of her home in four years. She was just bawling her eyes out when she walked down that ramp the first time. We did a lot of these ramps so I imagine the Tucson community or churches would be aware of a number of these situations. John, AzBM is a practical man and if he is volunteering for charitablr activities, that is less time for him to be working for the democrats pushing their political agenda. By volunteering, you and I may make a small difference in the lives of individuals in need, but, by focusing on the BIG picture (taking control of the political process), AzBM can affect far more lives. Granted you and I have a positive effect on smaller numbers, and AzBM has a good chance of ruining a lot of lives with well intentioned, but horribly flawed, government programs, but regardless of the outcome, he focuses on the BIG picture. How can you say, “There is no regulation of mobile home parks in Arizona?” Just look at Arizona Revised Statutes Title 33 Chapter 11! You are making AZBM look reasonable. But actually getting the regulations enforced is another matter. It is more difficult than you let on for someone who may have severe mental or physical illness, or who works very irregular hours or multiple jobs, to have the time to seek out legal counsel to take enforcement action against the violator(s) in question. If the regulations aren’t being enforced, or if there aren’t corrective actions being taken and/or violators being fined or otherwise disciplined, then all the regulations on the books won’t be worth a damn. But you have zero knowledge to back that assertion up. Besides, I just corrected the blatant falsehood that Arizona had no such regulations. An error that demanded correction. John Huppenthal does not understand the Disability Community,like me, so if John gets away from his computer and meets me in PERSON,I’ll show you all the paperwork why I’m on the ‘system’ with multi Disablities. here is the problem. azbm or other elitist liberal knocks on trailer door. woman getting ready for work answers. democrat elitist doofus says to her. collusion, putin, trump. I am with her why aren’t you? any questions. woman says I work for sears and amazon is about to put them out of business and I will be out of a ob. and all the other retail stores have to pay property taxes and other taxes that amazon doesn’t have to pay. they will all go out of business where will I work. democrat doofus says I can’t help you bezos of amazon is a big contributor to democratic party so bernie sanders supporters don’t take over the party from the democratic establishment. it what the big donors in silicon vally want not trailer court trash want! Trailer trash? Maybe. Unlike the elitist snobs that frequent this blog, I have actually lived in a trailer. Did it for 5 years while I worked and saved money for my Engineering degree. Very inexpensive. Couldn’t have made it without the savings. My brothers also lived in trailers while getting their engineering degrees. We called them the Taj Mahal. My one brother paid $20 a month using a toaster to keep the place warm. Such a rich fantasy world in your twisted mind. What, you don’t think I lived in a trailer while I got my Engineering degree? You don’t think my brother Joe rented one for $20 a month while he got his engineering degree at UofA? That my brother Mark lived in one while he graduated from the Colorado School of Mines with an engineering degree? I grew up in a house that cost $500, total all said and done and was on a $500 piece of property. I know spartan and I still live a spartan lifestyle today admittedly surrounded by the luxury that my wife demands. There is another word for luxury – its called slavery. Yesterday, I had to pay the landscapers $600 to trim my palm trees. Who is working for who? Is he working for me trimming my trees or am I working for him when I pay that $600. I never feel like he is working for me when he does this every year. I have a hedge that is so big that it costs $200 to trim it. This year, I decided to test how long it would take me to do it – took 8 hours to trim and clean it up. I figure my time is worth $200 per hour so I am poking myself in the eye when I do this myself. However, while I was doing it, I got to listen to the complete Trump speech in Saudi Arabia and a entire PBS program on altruism research – so it paid off. I know how you escape poverty on a very real basis. I saw people all around me doing it in south Tucson. It’s called discipline and hard work. One of the routes back into poverty is to live in a house that costs you $3,500 per month. You guys are a living public policy disaster. Let’s get people thoroughly trapped on government assistance, free food, free housing, free utilities but only if you agree to stay poor, stay jobless, stay unmarried. The living stew of criminality and wasted lives. Instead of beating up on the people providing low income housing why don’t you create a city, Tucson that creates some jobs and some prosperity. Tucson hasn’t created a single private sector job in the last ten years. The tax burden is so steep from your TUSD extra taxes, that no one wants start businesses in Tucson. Where is the Leadership to PUSH FULLY FUNDED Section 8 Vouchers in the USA…If this was true,you story would not be needed!!! Tempe and Chandler are enjoying a boom in tech-industry jobs alongside economic growth not seen since the days before the Great Recession. That increased prosperity comes with an unanticipated consequence. Affordable housing is becoming harder to find, and properties that historically participated in rental-assistance programs are starting to opt out. Representatives of cities and non-profits are not entirely sure why that is happening, but an increase in financially qualified tenants could be one reason. Most cities in the Greater Phoenix area have waiting lists in the thousands for Section 8 housing. GoSection8.com, a website that helps those trying to find housing that accepts the vouchers, lists only 14 properties in Tempe and 10 in Chandler. On top of that, another issue of concern looms for cities and non-profits. President Trump’s proposed budget would eliminate the Community Development Block Grant program and the HOME investment partnership program. Both Chandler and Tempe received more than a million dollars each in CDBG funds to help fund various programs to help the homeless, the disabled, the elderly and other at-risk populations. As they wait for federal budget decisions, Chandler and Tempe are working to increase their outreach to landlords and property owners about the benefits of participating in programs such as Section 8 and other rental-assistance programs. However, real-estate agents such as Kareem Abdullah have seen wariness from landlords. “There is a lot of stigma that landlords have around these type of tenants,” Abdullah said. The term Section 8 refers to the eighth section in the Housing Act of 1937, which authorizes the payment of rental housing assistance to landlords on behalf of qualified low-income people. The Housing Choice Voucher Program, which allows for a maximum of $2,000 in monthly rental assistance for those who qualify, is part of Section 8. Eligibility is based primarily on income and family size. The family’s total annual gross income cannot exceed 50 percent of the median income for the county or metro area where the family is seeking assistance. In 2015, nearly 46 percent of those living in Maricopa County, or roughly 663,000 people, made $49,999 or less annually, according to U.S. Census Bureau data. On top of programs like Section 8, some cities have their own rental-assistance or emergency-assistance programs that are mostly funded with CDBG funds. Tempe is expected to receive nearly $1.4 million in CDBG funds and about $303,000 in HOME funds this year. Chandler received more than $1.3 million in CDBG and $300,000 in HOME funds last year and officials are hoping to get that same amount again. No where, I hope, because that is something we don’t need: Another government program made even more enticing to entrap citizens in a deeper hole of government indenture from whcih they will never excape. All the questions in that article do not require a genuis to answer them. Landlords prefer not to rent to Sction 8 recipients. When rentals are booming business, landlords don’t need to rent to Section 8 Housing Voucher recipients. When things in the rental business are slow, lanlored will often use Sction 8 Housing recipients to take up the slack and keep their units rented. It is simple economics. So, then, what do you think should be done to provide housing assistance to people who cannot work, or who cannot afford to pay market rates for rent at their current employment level? Me – I would like to see zoning managers and cities step up to enable more higher-density development in certain places to allow for more low-income housing to pop up, but that’s not going to matter if real estate developers see more profit in luxury complexes, which appears to be what is happening at least locally. So I’m not sure what sort of market-based program or initiative you’re looking at trying to get implemented, but I would like to hear what your idea(-s) are. To be honest, Edward, I have no idea whatsoever. But before you say “Then doing anything is better than doing nothing.” I have to disagree. Virtually every government program sets up a trap to indenture recipients to a lifetime of poverty. Whenever a person enters government programs, no matter how noble the intent of the program, they are immediately setting themselves up to never escape poverty. It is a Hobbesian choice that the recipient does not see as trap until years later when they finally realize there is no way out of poverty for them. That has been tried and failed, Edward. It was called housing projects in the 1970s, and some are still around in the northeast. They were started with high hopes and good intentions, but they quickly turned into a more civil form of concentration camps were we warehoused the poor with no way to ever help them escape these pits of crime and despair. I wish I was smart enough to offer a real solution. I think the reason no one has ever come up with a solution is that poverty is not something that can be solved. “The poor we will always have with us”. No matter how well intentioned, no matter how well designed, no matter what is done, some one is at the bottom of the economic totem pole. I don’t disagree with you in at least one respect – sometimes doing nothing, as much as I would hope otherwise, is the best thing that can be done, and I would point to the War on Drugs as an example of that. I think it has been pretty clearly shown to have been a failure. And as I have said before, I do definitely think that there are welfare traps embedded into welfare programs as they currently exist which, as you point out, can trap people in poverty with no good way to escape. I would like to see some restructuring toward negative income taxes, expansion of the EITC, etc. as a way to help mitigate those issues. I think that any program which is subject to eligibility thresholds and sharp cutoffs is going to have those problems, and therefore favor a gradual removal of assistance which allows people to build up and slowly remove the assistance as it is no longer needed. Yes, there are still disincentives on the intrinsic margin, but I think that’s better than the disincentives on the extrinsic margin like we currently have. And you’re right – I don’t have the end-all, be-all answer either. Smarter people than you and I have tried as well I’m sure. But I don’t think that should necessarily mean that we stop thinking of and working on potential solutions. But maybe that’s my own bleeding heart talking there. If so, then you wear it well. It’s good to have a bleeding heart because compassion for the next person is a good thing. 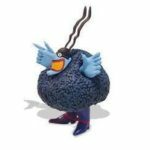 Several people on this blog have told me I have no heart, but they couldn’t be further from the truth. I have have great compassion for those who need help, but I don’t think the government is the way to do it.